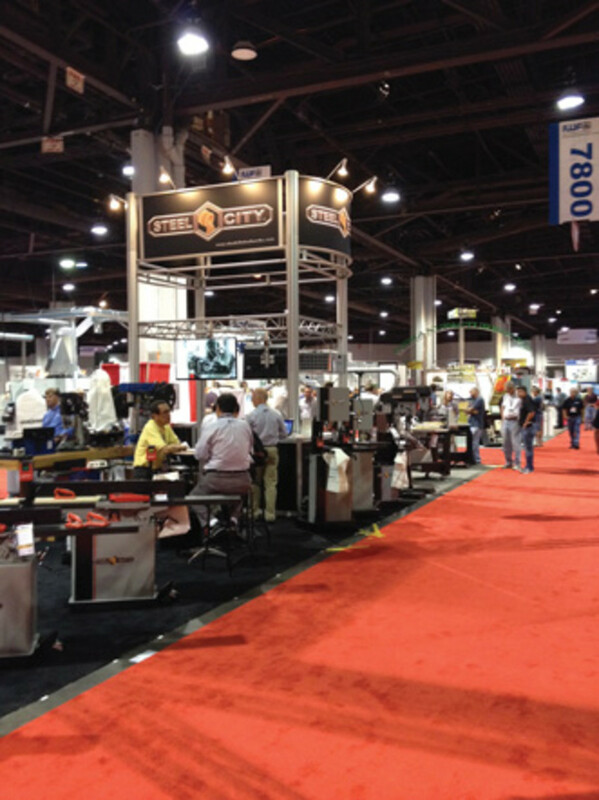 IWF 2014, held Aug. 20-23 at the Georgia World Congress Center in Atlanta, earned high marks from attendees, exhibitors and the show’s management, based on post-show interviews conducted by Woodshop News. 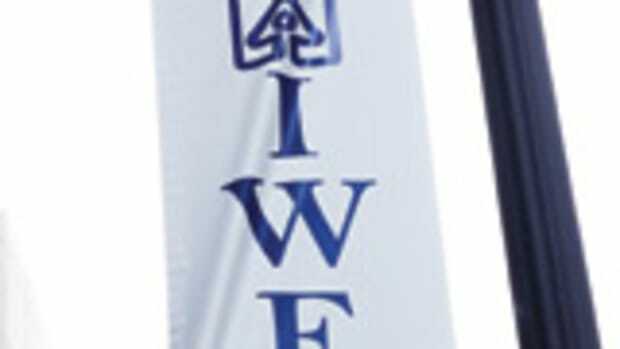 Show chairman Rick Hannigan says IWF drew 920 exhibitors, offered more than 448,000 sq. ft. of exhibit space and featured approximately 200 new exhibitors. There were 212 international exhibitors representing 32 countries. Registration was up 10 percent over the last show in 2012. 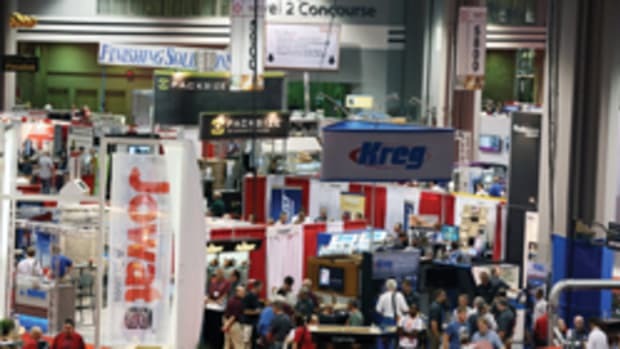 “We really fully expect to have continued growth for the next four years at the show and the woodworking industry as a whole,” Hannigan says. Activity on the show floor was energetic, positive and vibrant. 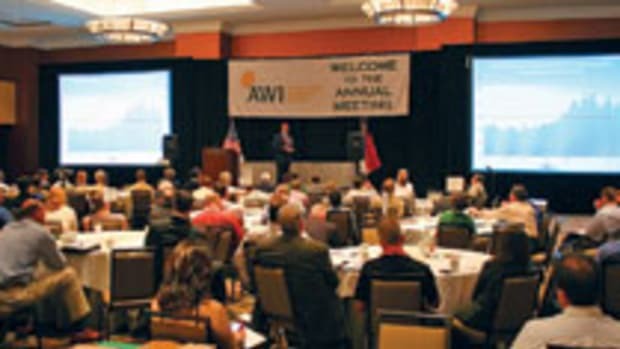 Attendees were eager to see new technology, connect with vendors, become educated on new trends and openly discuss needs to expand their businesses through efficiency and productivity. “The overall attitude of the attendees is much more vibrant and much more positive as opposed to two years ago. Attendees are now committed to investing so they are actively looking for information for the product they want. At the last couple of shows they were hesitant and weren’t really sure if they wanted to invest,” Hannigan adds. Exhibitors said attendees were engaged and very interested in new products. More than 108,000 leads were collected by the show’s electronic lead retrieval system. About 50 percent of the audience stated they expected to make significant purchases in the next six to 12 months, according to the IWF. 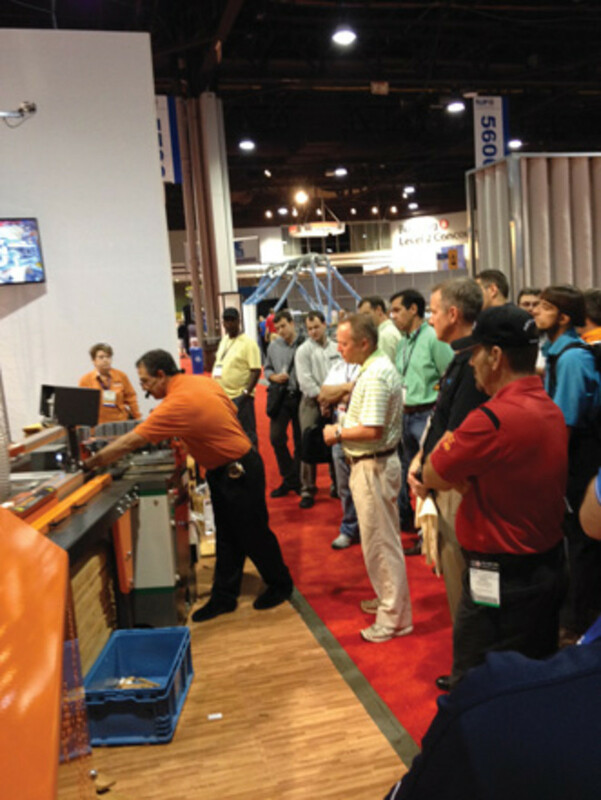 “The exhibitors saw a big difference with attendees on the show floor this year. They’re positive about the future of their companies. There’s still a little bit of hesitation there, but it also helps them to talk to each other and we encourage attendees to talk to each other,” Hannigan says. Lewis Reed, an exhibitor from Somerset Wood Products in Somerset, Ky., says the show has become a real benefit for his company’s networking efforts, including making contacts outside the U.S.
“The show was really good for us this year we received several leads and have already been in contact with some of these companies only a few days after the show. 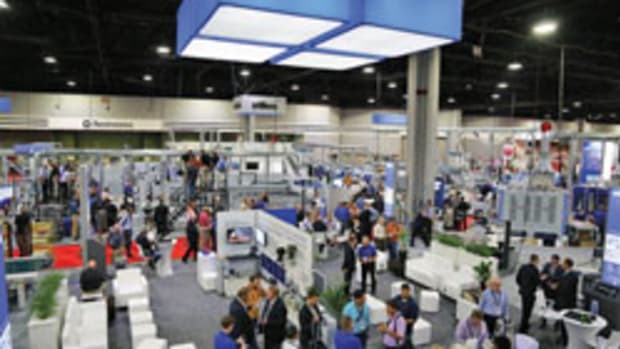 Our company has been an exhibitor sense 2008 but we also bring several of our employees to visit the show and see what’s on the market for new machinery and services for the future. We will be back to the show as it has been a real help in difficult years,” Reed says. 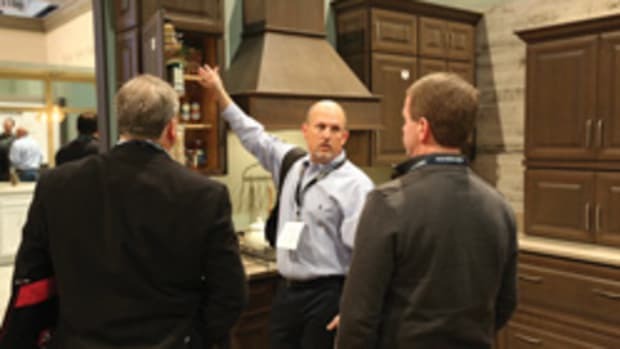 Cabinet Makers Association executive director Dave Grulke says the organization had a tremendous presence with its educational session offerings. The CMA conducted 15 sessions that drew nearly 1,000 attendees. “We offered widespread coverage of business management and technical topics geared towards small- and mid-sized shop management. There’s always a lot of interest in our lean manufacturing and pricing sessions, and our new session on tips and tricks for CNC where we discussed advanced techniques and how to present things was pretty popular,” Grulke says. Paul Losavio, a representative with software exhibitor Cabinet Vision, said it was an exceptional show. “Based on software sales and leads generated, we haven’t had those kind of results since 2007-2008. In addition to that, there was an overall positivity about the industry as a whole that we felt from our machinery and industry partners, as well as from our customers. Most of our customers seemed to be very busy with work and many of those were looking to hire more people and invest in capital equipment and software. All good signs for the industry,” Losavio says. Robert Sullivan, a woodworker and owner of Creekwood Resort in Sautee, Ga. was an attendee at the show. He says that he was impressed with the way CNC machinery systems have become simpler with faster software and more durable. He also liked looking at the 3-D printers. 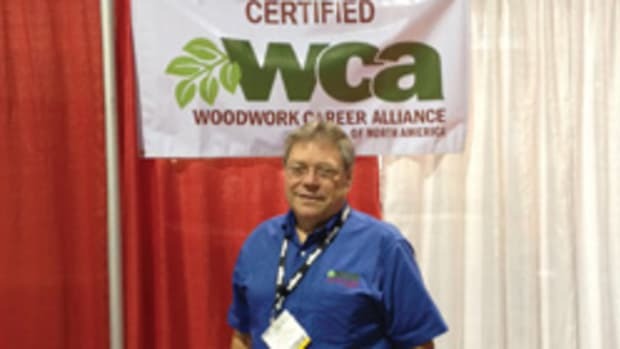 “I have been exhibiting at IWF since 1990,” adds Terry D. Gross, owner of Brown Wood Inc. in Lincolnwood, Ill. “My colleagues and I met after the show and decided that IWF is a necessity for our business. 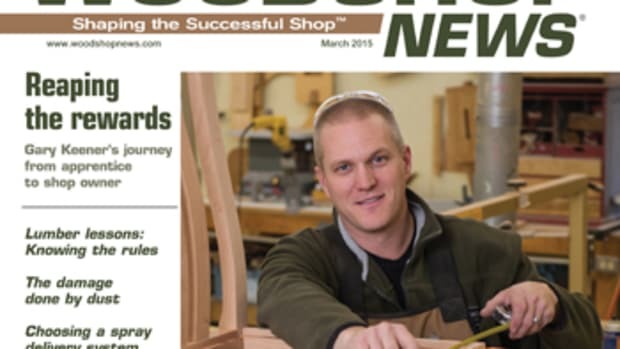 Since we serve such a wide variety of woodworkers and industrial manufacturers, IWF is a unique opportunity for us to see our customers, meet new prospects and, as important to us, see our vendors and shake hands with our competitors,” says Gross.